Several limits on personal exemptions and deductions are being imposed on individuals beginning in 2013 and many taxpayers will be affected by these new limitations. These deductions can change each year, so as the end of the year approaches you need to be aware of the new limitations. Single filers with adjusted gross income (AGI) in excess of $250,000 or couples who are married filing jointly and have AGI in excess of $300,000 will face phaseouts of their personal exemptions starting in 2013. For every $2,500 of AGI over the threshold of $250,000 ($300,000 married filing jointly), the $3,900 per-person personal exemption will be reduced by 2%. The personal exemption will be completely phased out once a single taxpayer’s AGI exceeds $372,501 ($422,501 married filing joint). This limitation will affect taxpayers with AGI in excess of $250,000 ($300,000 married filing joint). The Pease limitation reduces the value of itemized deductions by 3% of the AGI above the threshold amounts. This limitation will reduce the tax benefit of the mortgage interest, state income tax, home office, and various other itemized deductions on those taxpayers exceeding the AGI threshold. However, itemized deductions for certain medical expenses, investment interest, and for casualty, theft, or gambling losses are exempt from the phaseout. Historically, you have been able to deduct medical expenses that exceeded 7.5% of your AGI; however, in 2013 this threshold has increased to 10%. There is a temporary exemption from the increase from Jan. 1 2013 through Dec. 31 2016 for individuals age 65 or older and their spouses. Flexible Spending Accounts (FSA) contribution limits have decreased to $2,500 (from $5,000 in 2012) per person. Hypothetical example— Susan had medical expenses of $5,000 and her AGI was $55,000. In 2012 she would be able to deduct $875 because this was the amount in excess of 7.5% of her AGI. In 2013, using the same facts, Susan would not be able to deduct any of her medical expenses because the total expenses do not exceed 10% of her AGI. As always, please contact us to discuss the possible impact these limits might have on your tax liability for the year. Did you know that businesses and individuals located in the Commonwealth of Virginia that don’t pay Virginia retail sales tax when they make on-line purchases of tangible personal property for use in Virginia are responsible for paying Consumer Use Tax? Consumer Use tax is a tax imposed on the storage, use, or consumption of tangible personal property within Virginia for items purchased from dealers outside of Virginia. The primary purpose of the tax is to prevent Virginia sales tax from placing Virginia merchants at a competitive disadvantage with out-of-state retailers. Who is responsible for paying Consumer Use tax? Businesses located in Virginia and individuals that reside in Virginia that make purchases from an out-of-state source and do not pay the Virginia retail sales tax at the time of purchase are responsible for paying consumer use tax, however, if the total amount of purchases were $100 or less for the entire year, and only from out-of-state mail order catalogs you do not have to pay the use tax. If the purchases were for any amount from sources other than mail order catalogs, then you must report these purchases and pay consumers use tax on the total amount of all untaxed purchases from all sources made during the calendar year. Nonprescription drugs and proprietary medicines purchased for the cure, mitigation, treatment, or prevention of disease in human beings are exempt from consumer use tax. 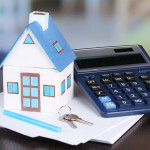 The use tax is computed on the cost price of the property, which is the total amount for which the property was purchased including any services that are a part of the purchase. Cost price does not include separately stated shipping or delivery charges but it does include a shipping and handling charge if listed as a combined item on the sales invoice. How do you pay Consumer Use tax? For individuals, you can report and pay this tax on Schedule ADJ with Form 760 Individual Income Tax Return, or Schedule 760 PY ADJ with Form 760PY for part-year Virginia residents. For businesses, including partnerships and sole proprietorships, report such purchases on Form ST-7 Consumer’s Use Tax Return or Form ST-9 Retail Sales and Use Tax Return. The return is due on or before the 20th day of the month following the period in which the use tax liability was incurred. Now that you are away from the immediate crush of tax preparation, consider making time for a personal financial tune-up. Assure that your current strategies will provide for the future that you envision. Collect and organize all of your financial information so that the information is close-at-hand or easily retrievable when required. This will assist with determining that your assets are adequately protected, that you have funds available for emergencies, and that you are on track with your retirement goals. Be sure that someone you trust knows where the information can be found and how to access it. Review your documents to make sure that all of your assets are titled as you want them to be and that all of your beneficiary designations are up-to-date. You may have had recent events in your family or financial situation that would necessitate a revision of your current legal documents, or for drafting another instrument to define a new goal. Ensure that your plans for the future are reflected in your written designations, including your will, trusts, and any other directives pertinent to your life. Determine what your objectives are to meet your future financial goals. You may be planning for a home or investment purchase, funding education for children or grandchildren, or working toward a legacy fund for a favorite charity, while simultaneously looking ahead to retirement. We are available to advise you concerning your financial tune-up. We can determine the impact that changes in the law have on your current income tax situation, and make tax projections for planning purposes. We will team with you, your attorney, investment advisor, financial planner, family members, and any other counselors, to develop a composite plan to make your financial goals realizable. Many people often bypass the use of Roth IRAs in their retirement planning because of the absence of an upfront tax deduction. Therefore, many individuals choose to only fund their retirement with pre-tax contributions to a Traditional IRA and/or their company qualified retirement plan. After all, we were taught in economics 101 that a dollar saved today is more precious than a dollar saved tomorrow; plus deferring taxable income is often a prudent course of action. These tenets are important and rightfully given appropriate consideration, but should not serve as the only fundamental rules in your retirement plan. The following discussion points are intended to shed some light on Roth retirement vehicles and how/why to incorporate Roth’s into your retirement blueprint. A Roth IRA is an individual retirement savings account funded with after-tax dollars. Meaning contributions are not tax deductible, but subsequent qualified retirement age distributions are completely tax-free. For the 2013 tax year, you can contribute $5,500 ($6,500 if age 50 or older by December 31) to a Roth IRA. Contributions cannot exceed taxable compensation and are subject to phase-outs based on your modified adjusted gross income (MAGI). For 2013, the MAGI phase-out ranges from $178,000 – $188,000 for a joint return and $112,000 – $127,000 for single/head of household filers (special rules apply for married couples filing separately). Additionally, a spouse (filing jointly) may be able to contribute to a Roth IRA even if he/she had no taxable compensation. Identical to traditional IRAs, contributions can be made for a tax year up until the original due date of your federal tax return (generally April 15th). Unlike traditional IRAs, contributions can be made beyond reaching 70 ½ years old and required minimum distributions are never imposed on a Roth. This can sometimes prove to be a significant advantage in terms of your estate planning. In addition to Roth IRAs many qualified retirement plans such as 401(k) and 403(b) plans offer a designated Roth elective deferral option as well. Allowing the plan participant to contribute funds on a post-tax basis without the roadblock of income limitations associated with Roth IRAs. If you are not able to utilize a Roth 401(k) to circumvent the income limitations there is still another avenue to make Roth contributions. An individual can simply make a non-deductible Traditional IRA contribution and exercise a subsequent conversion (Roth Conversions discussed below) to a Roth IRA. Non-deductible contributions are allowable to a traditional IRA (if you have taxable compensation) up until the year you reach 70 ½ years old. When converting assets held in a traditional IRA to a Roth you are essentially changing the tax treatment in which your retirement savings are held. The downfall is that you have to pay the tax bill on the conversion amount to convert the funds into post-tax dollars. As a result, the qualified distributions during retirement are completely tax-free (including the capital appreciation). One strategy that savvy individuals may employ from year-to-year is segregating their Roth conversions into several different accounts and evaluating the performance of each conversion individually to determine if recharacterizing or “undoing” the accounts back to traditional IRAs is desirable. Recharacterizng should be a consideration if the value of the assets converted has deceased since the original conversion date. Roth IRA conversions are great strategies, but should be carried out under the advisement of a CPA and/or financial adviser. By only contributing to tax deferred retirement accounts you are not achieving the essential goal of tax diversification. Tax diversification is the strategy of investing in accounts with different tax treatments such as taxable, tax-deferred (i.e. traditional IRA) and tax-free (Roth IRA). By having your retirement savings spread out among these different accounts, it provides necessary flexibility needed for tax planning in your golden years. Have you been hearing enough about the Fiscal Cliff? What about “TAXMAGEDDON”? We thought it might be a good idea to give you a CPA’s view of these upcoming “events” and some possible ways to approach your year-end tax planning. The fiscal cliff that everyone is talking about is actually a combination of several tax and spending law changes that are scheduled to take effect on January 1, 2013. The spending cuts are a result of the Budget Control Act of 2011 and its’ required automatic budget sequestrations. The tax law changes that are contributing to what many are calling the “fiscal cliff” or “taxmageddon” are the result of expiring tax law provisions that gave taxpayers additional deductions, credits and lower tax rates in the current and prior years – many of which are scheduled to expire on January 1, 2013. So what to do before then? First of all, keep an eye on what Congress and the President propose between now and December 31st. By looking at both the President’s proposal and any specific proposals that Congressional leaders may offer, we may be able to glean some direction. Income tax rates increase for almost every tax bracket. Alternative minimum tax exclusion will decrease, resulting in more taxpayers paying this alternative tax. Long term capital gains will be taxed at higher rates – up to 20%, instead of the maximum 15% of pre-2013 years. Qualified dividends will be taxed at ordinary income rates, instead of the pre-2013 maximum rate of 15%. Estate and gift tax rates increase to a maximum rate of 55%, instead of the 35% pre-2013 maximum rate. The amount of tax-free transfers to other individuals by gift or through inheritance will be capped at $1 million, instead of the current cap of $5.12 million. The cap on the allowable write-off of business furniture, equipment and qualified leasehold improvements in the year of purchase, sometimes called Section 179 expensing, will decrease from $139,000 in 2012 to $25,000 in 2013. Bonus depreciation, another accelerated method of deducting the cost of business furniture, equipment and qualified leasehold improvements, will expire at the end of 2012. Please contact us to discuss planning opportunities and estimate the effect the possible tax law changes will have on your income tax liabilities for the coming year. We don’t have a crystal ball to predict what will happen, but we will be able to prepare you for the possible changes. Please visit our e-Newsletter page and check out the 2012 Year-End Planning Newsletter for further insight and details. Some 529 plans College Savings Plans can benefit people of any age who are pursuing higher education and can be established at any time. Some 529 plans can be used for schools in other states. Some 529 plans can be established online or at a local bank. Virginia currently has four different plans: a pre-paid education plan, an education savings trust that can be established online, a College America plan that utilizes a broker, and a College Wealth plan that can be set up through certain banks. The requirements and restrictions vary for each plan. The best place to start is at www.virginia529.com for more information and resources. Most exciting for my dad was the fact that he can deduct up to $4,000 per year in contributions per plan from his Virginia taxes. Any remaining deduction will carryover each year until it is used up. Another plus is that once he turns 70, he can deduct the full amount of contributions, which will be helpful when he is required to start taking an annual minimum distribution from his 401(k). So, if there are any grandparents (or parents) out there who are looking for a better return on investment, a 529 plan might be a good place to start looking. After all, an education is “priceless”. Deciding when should you start collecting Social Security is a complex decision with many factor s to consider. When you work and pay FICA taxes, you earn credits toward Social Security retirement benefits. You can earn up to four credits per year and the credits are based on your annual earnings. Once you have acquired forty credits you are considered fully insured and eligible to receive benefits. Full retirement age depends on your year of birth and ranges from 65 to 67. Benefits are based on your primary insurance amount (PIA) which is calculated using your best 35 years of employment. You don’t have to wait to start collecting benefits until your full retirement age. You could begin collecting as early as 62. However, collecting early does have some significant consequences which ought to be seriously considered. Depending on your full retirement age, collecting at 62 could result in a reduction of up to 30% of your monthly benefit amount. In addition, if you are still earning salary and wages when you begin benefits, the amount of your monthly benefit could also be reduced or withheld if your earnings exceed a certain threshold. For 2012 the threshold is $14,640. However, your benefit amount at full retirement age will be adjusted to account for withheld benefits. This earnings reduction only considers the individual’s salary and wages, not other types of income. The Social Security Administration (SSA) rewards those who wait to begin collection of benefits. For every month you defer benefits after your full retirement age, up to age 70, you could be eligible for an up to 8% annual increase in benefits. The amount of an individual’s increase depends on their year of birth. The SSA isn’t totally unforgiving. If you begin taking benefits and then decide you have made a mistake you can request to withdraw your application for benefits. The SSA will review your application and if approved it would be as if you had never started collecting. Of course there is a catch, you have to repay all of the benefits received to date, you must request your withdrawal within twelve months of collecting benefits and you can only request withdrawal once. For most people the decision of when to collect benefits isn’t one that can be made in isolation. You should consider your spouse and the impact taking benefits early will have on their maximum benefit amount if they plan to take spousal benefits. Spousal benefits are benefits received based on your spouse’s PIA. You may also apply for benefits and then suspend collecting those benefits until a later date. This would enable you to still collect delayed retirement credits while allowing your spouse to collect spousal benefits. Widows and divorced spouses may be able to collect based on the record of a deceased spouse or an ex-spouse. In the end the decision boils down to longevity, how long will you live. Since none of us knows the answer to this question you must do your best to guess. The longer you think you will live the more likely it is that delaying benefits will result in the largest total amount of benefits received. If you have any questions regarding beginning to receive social security benefits, please contact a qualified tax professional or financial advisor/planner. Keeping good business records helps monitor the progress of your business, helps prepare accurate financial statements and helps prepare an accurate tax return. Recordkeeping systems range from paper ledgers to complex accounting software. Regardless of the recordkeeping system used, businesses need to keep documentation to support the entries in the accounting records. Answers to some frequently asked questions regarding supporting documentation follow. 1) What income supporting documents should be maintained? Keep supporting documents that show the amounts and sources of your income. Some examples are: bank deposit slips, customer invoices, credit card charge slips. 2) What purchases and expense supporting documents should be maintained? Keep supporting documents that show the amounts paid and the description of the purchase/expense. Some examples are: vendor invoices, store receipts, account statements, credit card purchase slips. 3) Is the credit card statement sufficient supporting documentation? Along with the credit card statement, you must keep credit card purchase slips, store receipts and vendor invoices to show the cost and date of the credit card purchase. 4) What supporting documentation is required for business meals and entertainment expenses? 5) What records must be kept for business travel expenses? 6) What records must be kept for asset purchases? Keep the following records to support the calculation of the annual depreciation expense and the gain or loss when you sell the asset. These records should be carried forward from the year of purchase to the year of disposition or sale. Purchase invoices for the asset and any improvement costs related to the asset. The purchase invoice should include the date of the purchase and amount paid. Sales invoices to substantiate the sale of an asset. The invoice should include the date of the transactions and the amount received. For more information regarding supporting documentation, refer to IRS Publication 583, Starting a Business and Keeping Business Records. For information regarding employee records refer to IRS Publication 15 (Circular E), Employer’s Tax Guide. Need to find out how to setup a Household Employee? First – a definition. If you hired any individuals to provide domestic services AND you can control what work is performed and how it’s completed, then you have a Household Employee. Such a worker is your employee regardless of whether the employment is full-time, part-time, or paid hourly or on a per-job basis. This also goes for employees who you pay weekly or monthly. If you paid cash wages of $1,800 or more in 2012 to any one household employee then you must withhold and pay social security and Medicare taxes. If you paid wages of $1,000 or more in any quarter in 2012, then you are also liable to pay federal and Virginia unemployment tax. You will also be required to obtain an employer identification number and issue a W-2 to the household employee. Please contact us for additional information on how to setup your household employee and comply with all federal and Virginia tax requirements. Now that another tax season has come and gone, I have been thinking about something that happened during that time that made a real impression on me. A client was widowed suddenly, and quite unexpectedly. Fortunately, her spouse had the foresight to leave some information behind that was most helpful. We all realize that some estate planning is necessary, even if it involves nothing more than a will. But, there are many small things that can be extremely frustrating for someone already dealing with a very stressful situation. I am referring to information regarding household finances such as account names and numbers, identification numbers, passwords and phone numbers. In many households, one spouse is responsible for all things financial. When that spouse is the first to pass away, the surviving spouse will benefit from some basic information in order to keep things moving. In addition to the previously mentioned items, many other items could be added to the list depending on the complexity of the specific household finances. 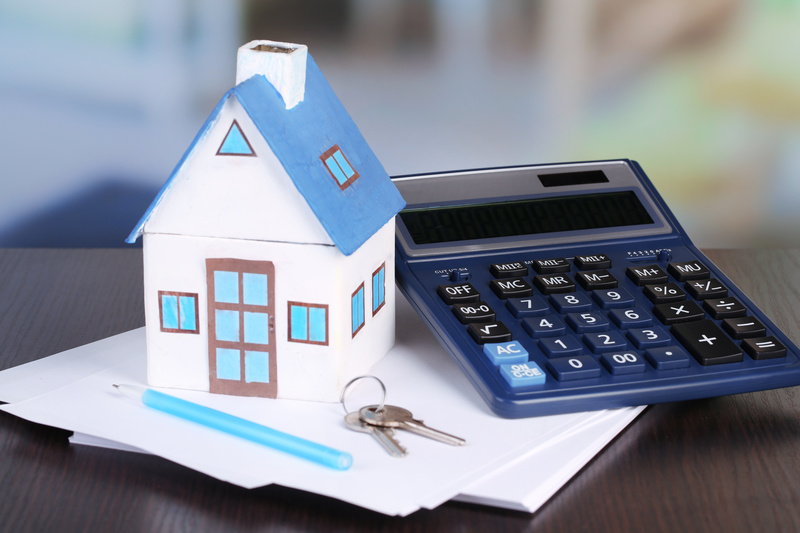 In many cases, it would not be over simplification to add things like the location of the checkbook and the due date for monthly payments such as the mortgage and utility bills. It would also be helpful to know the contents of the safe deposit box and the location of life insurance policies. With some thought, many things will come to mind that will be useful. My experience, and the experience of my client, was that this thoughtful estate planning truly can make life easier for the one left behind. Along the same line, while you are at it, don’t forget that advanced medical directive. You can pick one up at Martha Jefferson or UVA hospitals to complete.